We are approaching what could be a landmark election in Japan on August 30th. The ruling LDP are fighting for their political lives and the DJP are hot on their heels, appropriating slogans such as, “Yes, we can!” to encourage the perception of change. Then there are ever more elaborate ones – like the one I wish I had taken a photo of the other day – that are buses with something like a deck at the back from where the politicos wave at the plebs in the streets like plutocrats observing the common people from the comfort of their mega-yachts. 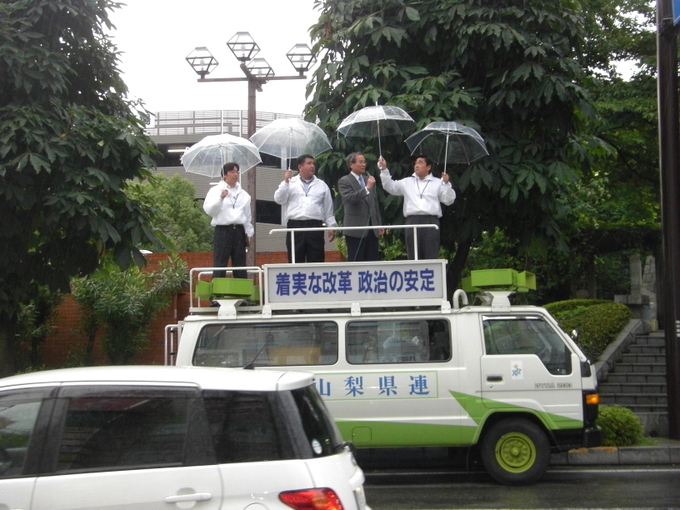 Whatever happens, I’m sure I can predict that a majority of Japanese will be happy when the anodyne speeches blasted out of these trucks’ PA systems finally end and we can enjoy some peace until the next election.